Just like current flagship smartphones, the LG G7 ThinQ has a 6 GB RAM and performance driven Octa-core processor. This smartphone is no less as compared to any other smartphone. To get more fun from this smartphone, we have created this list. Here we have gathered some of the best apps for LG G7 ThinQ for better productivity, usability and of course for better fun. These applications should help you do your daily tasks easily. Let you manage your phone in better ways. Though LG packs their smartphone well with tons of applications, however, there are better alternatives. Out of the box, the LG G7 ThinQ runs on the latest Android 8.0 operating system and already planned upgrade to Android 9.0 (P). With this powerful hardware and splendid operating system, you can use tons of applications on your phone. Finding the most useful applications can consume a lot of time of yours. Thus, we do the same thing for you and bring this list of useful applications for LG G7 ThinQ. These apps should get you started with your phone easily. We gather these applications with the intention to improve the productivity and usefulness of the smartphone. Even, many Samsung users have confirmed preloaded applications are not much qualified. And the same goes for LG’s smartphones too. There is one more thing to say about these preinstalled applications. Most of the time, they remain unused. These apps are generally referred to as ‘Bloatware’. Since these applications are preinstalled, it wouldn’t possible to delete them. However, there is one you can do. You can disable them through the Apps manager. That could possibly improve the storage space and performance a bit. Next, you can replace that bloatware with these useful applications on your LG G7 ThinQ. Without talking more, let’s take a look at these applications. Please share your favorite app in the comment section below this article. It is one of the must-have applications for Android smartphone users. Though LG G7 comes equipped with a dedicated file manager application, but the ES File Explorer has something even better to offer. With the simple to understand interface, it becomes easier to locate and manage files. This application beautifully categories, each file into an appropriate folder/category. Thus, you can easily browse files on your phone. With inbuilt music and video player, you can review files right from this application. 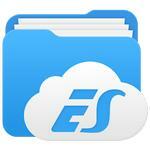 Moreover, it has inbuilt cloud services that help to browser files present over the cloud storage accounts. That means you can browse/manage both local and networked storage space. Additionally, it has an inbuilt transfer feature as well. Through you can easily send files to another device at fast transfer speed. Also, it acts as an FTP and WebDAV client. Therefore, you can manage files on FTP, FTPS, SFTP, and WebDAV servers just like you do on your phone. Overall, this application worth you install on your LG G7 ThinQ smartphone. 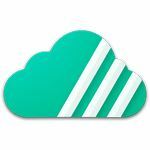 If you’re diving deep in cloud storage services, then you should start using the Unclouded application. This application can give you huge relief while you manage your files remotely. And most importantly, this application works in OFFLINE mode as well. Once you make a connection between cloud services and this application, you’ll just have to sync the file list. Then, you and modify/manage those files in offline mode. And once you go online, the actions/changes will take place. That’s not the end. The Unclouded application thoroughly analysis your cloud storage and brings some important information about them. That intel is about content stored, and extent of different contents. So you can easily know what is taking so much storage, about duplicate files and so on. Therefore, you can manage your cloud storage more effectively than ever before. This application supports different cloud services and some have to come. Making notes is a good habit. What if you can customize your notes too? The Notes – MemoCool application serves that purpose very well. Just the like the other Notes making applications, it has a minimalist user-interface. You can create notes by just tapping this application once. On the top of all, you can customize those notes with different colors, icons, tags and magnet-like icons. Further, this application serves a useful widget that you can place on your home screen. Just press and hold the home screen, then from the list of widgets select the MemoCool. After that, you need to select the note that you want to display. That acts as a reminder for you. So you can complete your work, a certain thing, and so on. Also, you can create reminders using the calendar and notifications. Further, it has trash section where you can find the deleted notes. So you won’t lose your important information while keeping your dashboard clear all the time. On the Google Play store, we know that the Microsoft applications are there. However, their free versions offer limited functionalities. These restrictions can be removed only when we purchase their subscription. Just like you, I am not using those applications too much. And it wouldn’t be justified if I purchase such subscriptions to do some simple document tasks. If you think the same, then use the WPS Office application. This WPS Office application has everything to offer that we usually get on official Microsoft application. Except for one thing — the WPS Office is completely free and it has no restrictions. 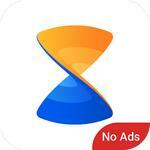 However, you might encounter advertisements while using this application. Of course, that shouldn’t hurt you. This is an all-in-one application to open/edit documents like Word, Excel, PowerPoint, and PDF files. Apart from these, it supports even more formats. 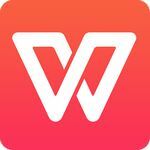 If you’re looking for an alternate office application, then WPS Office should satisfy your needs. That makes this application to be in our list of useful applications for LG G7 ThinQ. 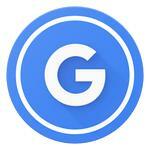 I would say, it is one of the most innovative applications over the Google Play store. The CamScanner application has made possible to keep the soft copies of documents more preciously than ever. Basically, this application captures the photographs of the documents and turn them into soft copies with proper shape and size. No matter, if you’ve not captured photos correctly, this application has inbuilt option to correct the figure of the documents. Once you get started with this application, you can easily sync files and documents on different devices. It has several different sharing options making simple to share documents on the go. Moreover, it has some advanced features like OCR, through which it extracts the text from the available documents. And also includes some editing tools too. For business purpose, you can opt for the premium subscription that extends it even more. This is a must-have application for all Android smartphone users. And especially for those who frequently indulge with documents. Xender is a new way to transfer files while enjoying the music and videos. Basically, Xender is a file transfer application that helps to transfer any type of file to other devices. There are no restrictions regarding the file transfers, no matter how big is a file or has what extension, it can transfer with an ease. Most importantly, being a free application, it doesn’t show any kind of advertisements. This best thing about this application is that it lets you connect your phone to PC easily. Then wirelessly you can browse files on your computer present on your mobile and download them easily. To connect to a computer, you just have to visit: http://web.xender.com/ and scan that page through the application. That’s it, you’re connected to your phone and you can browse files through a minimal interface. Even, I use this application to transfer images, videos, and documents from my phone to the computer. Really, it helped a lot in a much easier and fun way. This is another application that we recommend to LG G7 ThinQ users. 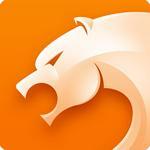 The CM Browser has a much better functionality to offer as compared to existing internet browsers. Just like Google Chrome, the CM Browser offers a stable browsing experience while saving your internet data. It has inbuilt features that compress the websites effectively without disturbing the functionalities and load them as fast as possible. On the top of all, it has an ad blocking system that blocks almost all types of advertisements. That saves a huge amount of internet data. Additionally, with the private mode, you can browse anonymously without leaving your footprints. I personally use this browser on a daily basis along with the Google Chrome. I usually use the CM browser for those websites having strong advertisements. This browser simply restricts those ads on a DNS level. That saves our internet package from being used by those ads. Thus, it outcomes lighter web pages that load faster. Now, it’s time for personalization. If you’re looking for an alternate home-screen launcher for your LG G7 ThinQ, then try the Google Pixel Launcher. This launcher offers a slick and nice looking interface having a limited customization option. The user-interface is very simple and you can operate it through swipes. If you swipe up, it opens the Apps viewer, and use the left-right swipes to browse rest of the home-screens. It is an elegant home screen launcher. If you prefer simplicity, then you must try the Google Pixel Launcher. While you swipe to right, it brings you the customized news and updates through Google cards. You can customize these feeds based on your likes. Next, it has a search option present above the Apps viewer that helps to locate applications and search Google for that term. Though it offers a few personalization options, but that is plenty for us. The LG G7 ThinQ has a huge screen resolution of 1440×3120 pixels. For such high-end devices, it is hard to find wallpapers that fit the screen perfectly. To make that task easier, there is an application that can help you a lot. 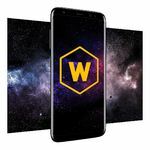 The Wallpapers HD application offers tons of screen wallpapers having high-definition resolution specifically built for high-end devices like LG G7 ThinQ. Even it has 4K backgrounds that you can use on your phone. Within this application, you can only high-quality hand picked wallpapers. The wallpapers range from 1080×1920 px (Full HD 1080p) to 2160×3840 px (Ultra HD 4K) resolution. Thus, if you’re having a high-device like this, these backgrounds should fit perfectly. There are about thousands of such wallpapers. The most noteworthy thing is that you get these wallpapers for free. There is no restriction or some sort of limits. You can use them as many as you want. This list won’t complete until we add a tool that completes your all needs regarding the photo editing purpose. 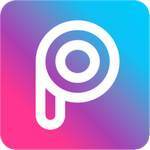 The PicsArt Photo Studio is a professional photo editing tool available for Android users. This application has tons of filters and tools to offer while editing photos, creating memes, photo collages, and so on. 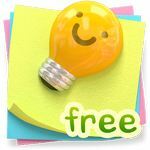 Since this application has a vast user base, you get access to millions of user-created content at no cost. Just like any professional photo editor, it has inbuilt drawing tools, photo remix templates and so on. Moreover, you can go beyond that. 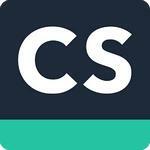 You can also create creating photo contests and challenges through this application. Such content is going viral these days. Just like professionals, you can really create some awesome pictures and image contents. That ends our list of the best apps for LG G7 ThinQ here. And we hope that our readers would like these applications. We’ll add more useful applications to this list soon. Please share your favorite applications in below the comment section. We’ll be glad to feature those apps in our list and improve it.